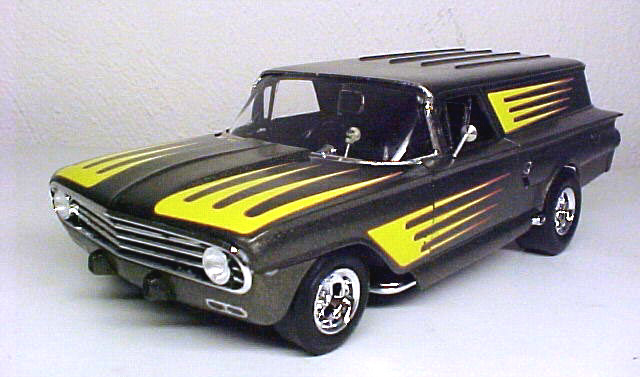 You gotta agree this `60 Chevy panel is made for Hot Roddin’. Tom Daniel hit it right on the head with “Quick Silver”, I'd built that one years ago Box Stock. This time I couldn’t find or afford a Quick silver so I used a Street Fighter II. 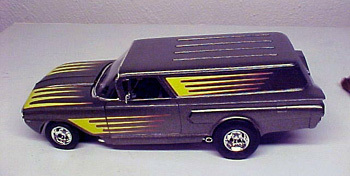 I started out modifying it by closing the 2 NASA style hood scoops and closing up the moon roof. I wanted to give it that `70’s Hot Rod look with 5 slot rims, which came from a Fast Buck. 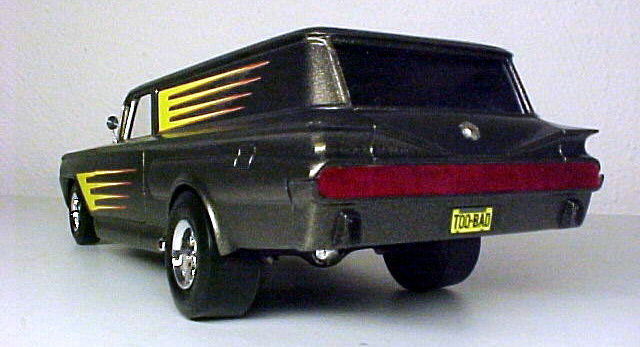 I jacked up the rear with big fat tires. I used the bright yellow scalloped decals knowing they would stand out nicely on this Pactra “Quick silver” metallic paint. I added a little foil where needed. 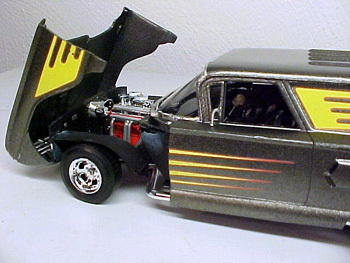 The small block Z-28 engine is built box stock, and painted Chevy Orange. 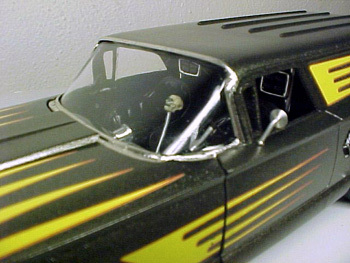 The interior is box stock and painted Gloss and Flat Black. I just had to add a Skull shifter on a tall stick shift. The “Too Bad” plate just says it all!